Arista Biologicals is a leading manufacturer and supplier of rapid diagnostic reagents, components and related equipment for membrane-based assays. Reagents include colloidal gold conjugates, antigens, and antibodies used for assays such as fertility, drugs of abuse and infectious diseases. 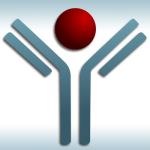 Our services include technical assistance, custom conjugations, antibody purification and assay development.